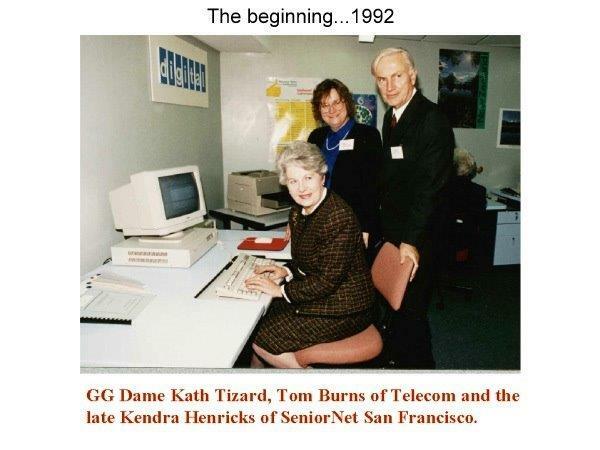 It all started in May 1991 when Earle Adams, Chairman of the Wellington Branch of the Retired Persons Association of New Zealand invited Grant Sidaway of Telecom New Zealand to speak about modern communication technology. His address included a video of Seniornet activity in USA founded in 1986. Interest aroused from the meeting prompted a well attended seminar in Wellington on 4 February 1992. 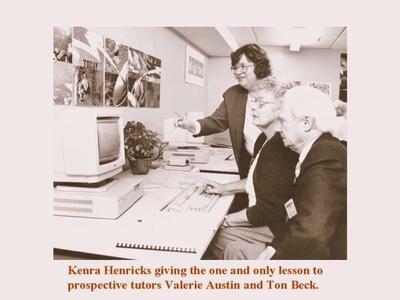 Enthusiasm from those present translated into a SeniorNet Learning Centre officially opened by the Governor-General Dame Catherine Tizard on 10 April 1992. The first premises, just one room, but of generous proportions, was in the Betty Campbell Centre, situated above the parking floors in the James Smith car park building. The initial 45 members were able to choose computer courses about word processing, spread sheets, databases and communications. 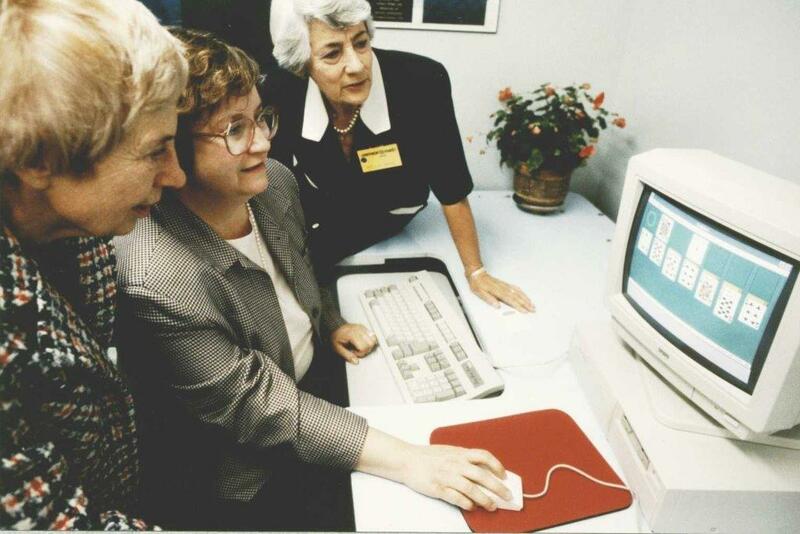 Very few of the original members actually owned a computer. Earle Adams was the first Chairman and by the time of the first AGM on 7 April 1993 membership had risen to more than 200. Internet existed at the time but not the World Wide Web. A connection via America Online with SeniorNet San Francisco was only used once or twice with great difficulty. Early communication courses concentrated on the use of bulletin boards. This photo on the right, taken in about 2001 shows a number of the committee while those below show the first teaching facilities. Go to our Photos page to see other archival pictures. In the early days, almost no one had prior experience using a computer and few had a computer at home. The first teaching exercise was learning to play games like solitaire. ​Windows 3 was born in 1992, superseded by Windows 95 three years later. Then came the Internet, email and mobile phones and a dizzying succession of operating systems and applications. By 2011, over 3800 people had taken up membership at some stage to learn about this new technology. This is the brochure produced for Seniornet's 20th Anniversary. See more photos on our photo page.